The website has unique design aimed at attracting and maintaining visitors, whilst helping promote the salon and their specials. 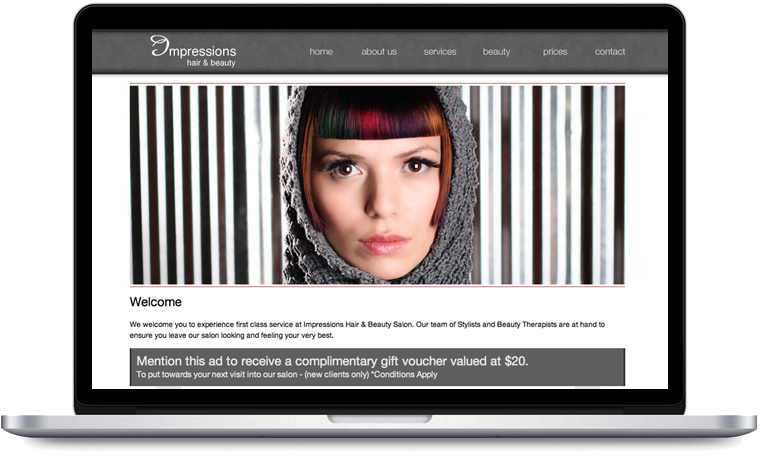 To create a new website for Impressions Hair and Beauty to help increase traffic online and sales. Our approach was essential to keep the design captivating yet informative to provide clients with the direct information they need to help create new sales. We launched the Impressions Hair and Beauty website in February 2013 and we have received great positive feedback from the client with excellent results.